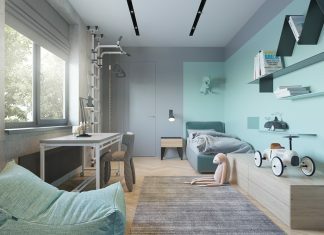 Roohome.com – Do you have a wide living room inside your house or apartment? Do not worry, this modern living room style will help you to solve you common problem. 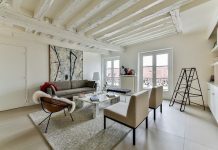 Having a wide space it is probably confusing some people, because if they are wrong in arranging the furniture or choosing the concept, it will produce a poor appearance the living room itself. 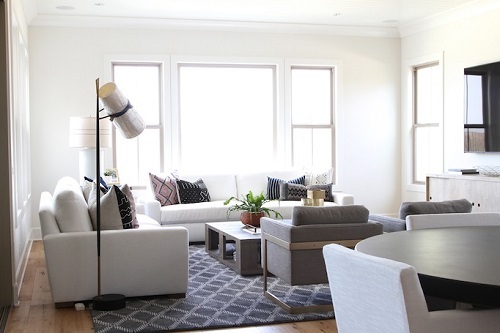 That is why you must be careful in choosing concept or theme for your wide living room. You can start trying this design with contemporary coastal look below. Do you like a beach? 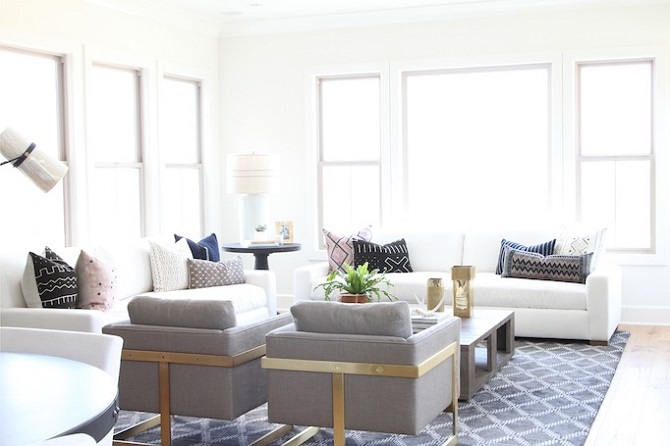 This design can inspire you to bring beach vibe into your living room perhaps. 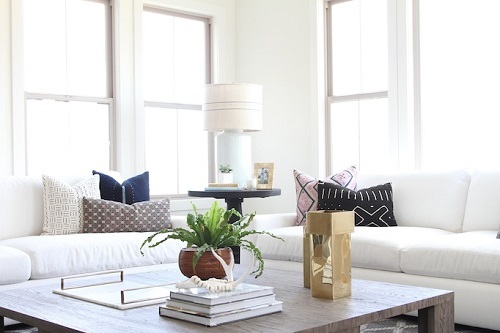 Becki Owens as a professional designer creates a modern style of living room with the contemporary coastal look. You never imagined the concept before, because she has a brilliant idea to make your living room becomes stylish. First of all, she decides to use a clean and bright theme for her concept because the room has many windows inside of it. She functions it well. Move to another angle in this room, you can spot the coastal interior which is chosen by Becki Owens to produce beach vibe in a whole room. She creates white lines and paints the wall with white color. She is perfect in combining color and interior such as white foundation is combined with white furniture as well. 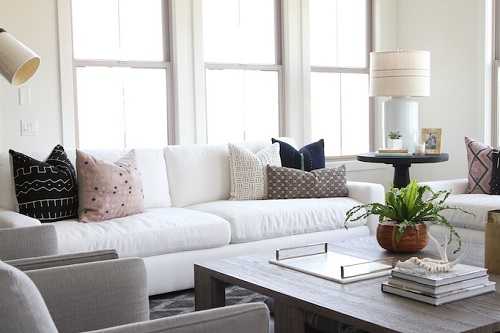 Importantly, you must be creative in placing and arranging the furniture in order not to make it disorganized and stuffy. We have discussed how to place and arrange the furniture inside the living room. 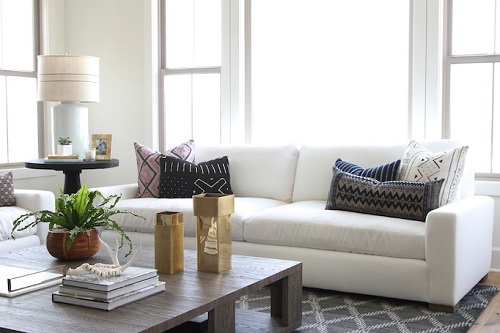 Now, you have to know if the designer uses vintage furniture to decorate the living room becomes enticing and modern. 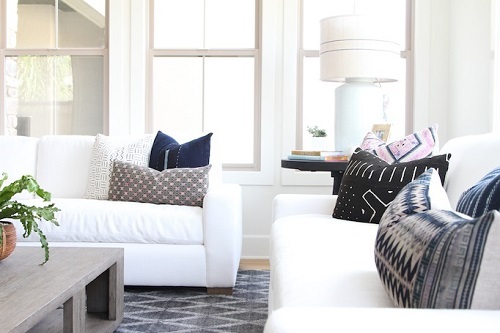 Although the sofas are white but Becki Owens adds unique pattern and colors of pillows. She knows really well how to make the sofas have an artistic view by adding some vintage pillows. 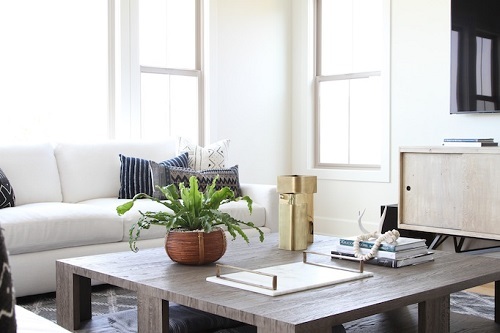 Afterward, the large wood coffee table is also suitable for this modern living room style. 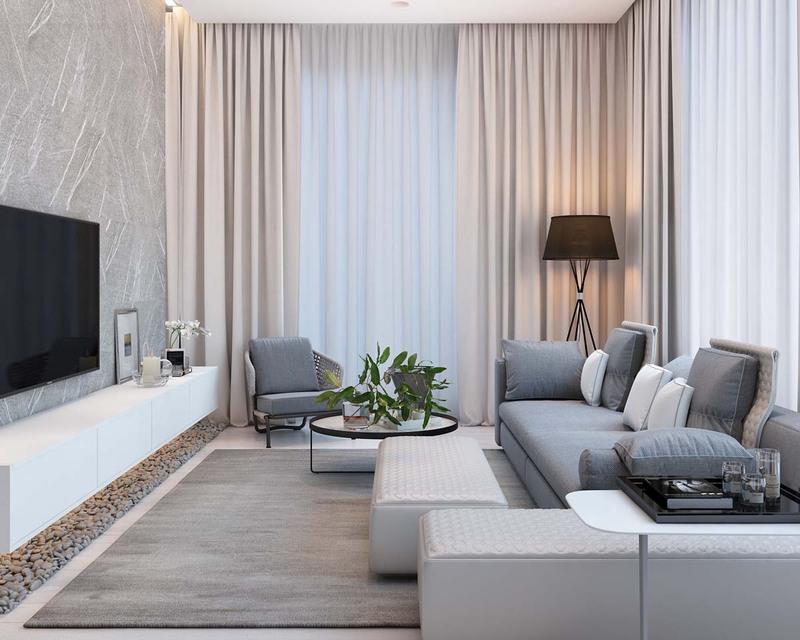 Although the primary concept is modern coastal look, but the designer keep adding natural decoration inside the living room in order to make it livable. Take a look how she places greenery stuff onto the coffee table even though the plant is quite small but you will be cozy in relaxing. 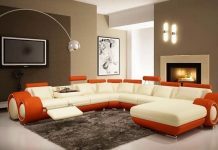 Now, you will not be confused in designing your wide living room because modern living room style has inspired you to do it. Choose a perfect interior also furniture to support your concept. If you want to see other design, just visit and check here. Have a nice day!